Welcome to Music Friday, when we spotlight songs with jewelry, gemstones or precious metals in the title or lyrics. 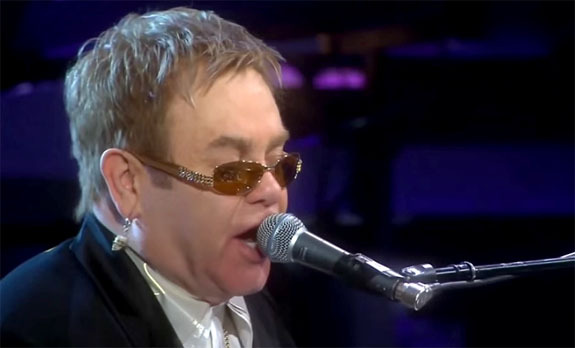 Today's installment falls exactly on Sir Elton John's 69th birthday, March 25. And to honor this legendary talent, we present one of his classic songs from 1972, "Honky Cat." In this song about a young man torn between the fast pace of the big city or a simple life of the country, he ultimately chooses to return to his roots. John sings, "You better get back honky cat / Living in the city ain't where it's at / It's like trying to find gold in a silver mine / It's like trying to drink whisky from a bottle of wine." Interestingly, the words that John sings reflect the point of view of his lyricist, Bernie Taupin, not himself. Unlike John, who grew up near London and loved the city life, Taupin was born on a farm in Lincolnshire and preferred that environment. "Honky Cat" is the first track on John's fifth studio album, Honky Château, which reached #1 on Billboard 200 albums chart and was ranked one of the 500 Best Albums of All Time by Rolling Stone magazine. The single made the Top 10 on Billboard's Hot 100 list. The album's title refers to the location where it was recorded in early 1972, specifically Château d'Hérouville in Hérouville, France. Born Reginald Kenneth Dwight, John is one of the best-selling music artists in the world. In a career that has spanned five decades, John has sold more than 300 million records. 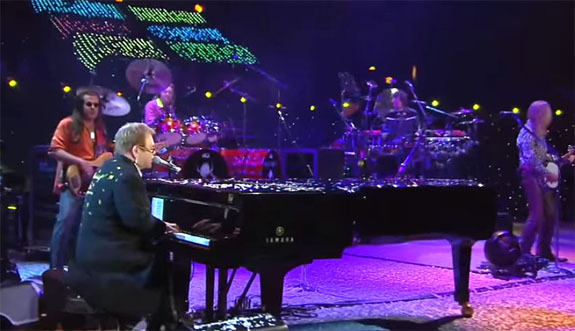 John and Taupin have collaborated on more than 30 albums and are credited with more than 50 Top 40 hits. His single in honor of Princess Diana, "Candle in the Wind 1997," sold more than 33 million copies worldwide, making it best-selling single in the history of the UK and US singles charts. 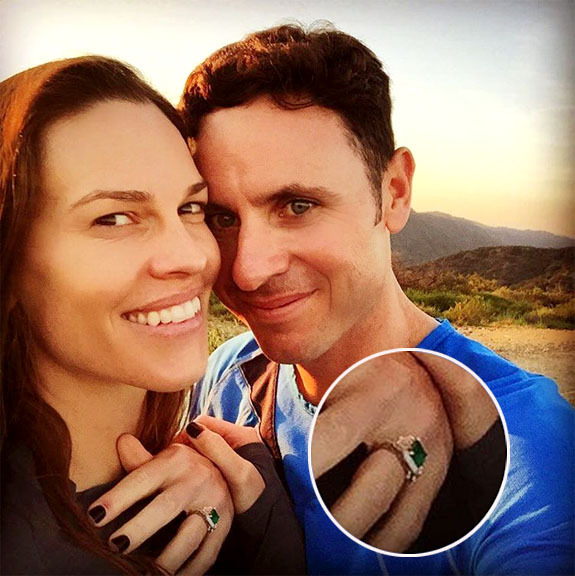 Oscar-winning actress Hilary Swank just announced her engagement to former tennis pro Ruben Torres and her new ring may have you green with envy. Swank revealed the big news on her Instagram page on Tuesday, but perhaps more surprising than the proposal itself was the emerald engagement ring gleaming on her finger. 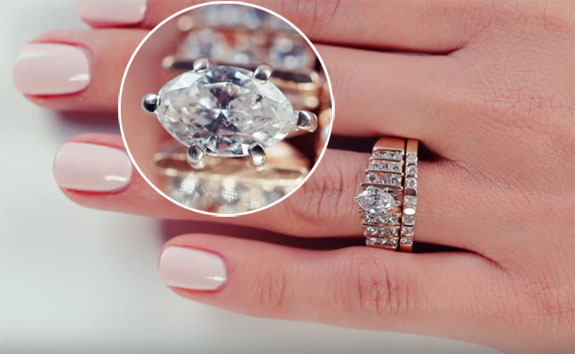 The Million Dollar Baby actress and frequent covergirl joins a small, but impressive, legion of celebrities who have stepped out of the box with colored gemstone engagement rings. 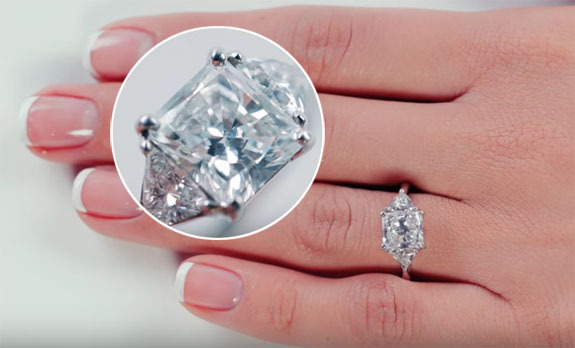 Some of the most notable are Halle Berry's 4-carat emerald engagement ring, Jessica Simpson's 5-carat ruby engagement ring and Kate Middleton's 12-carat blue sapphire engagement ring, which had been worn by Princess Diana. 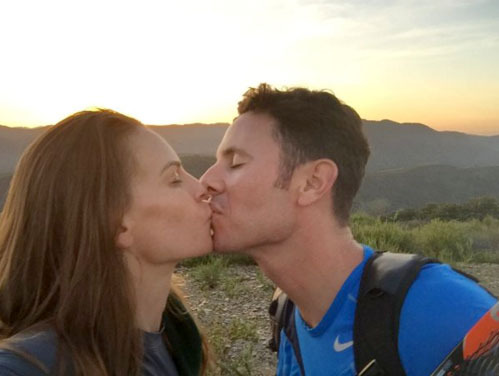 A romantic photo posted to Swank's Instagram page showed the actress and her new fiancé with the following caption: "Went on a hike and this happened! I am so happy to share with you all this exciting and incredible news... the engagement to my dear Ruben!!!" She concluded the post with #Engaged and three emojis. Also prominent in the photo is the gorgeous emerald-cut emerald ring, with a halo of white diamonds and split shank. The emerald seems to be set in white gold or platinum. On Twitter, she posted a shot of their first kiss as an engaged couple, with the following caption: "And then this happened....#sealedwithakiss." Coveted for thousands of years, the beautiful and rare emerald is associated with Venus, the goddess of love, and is known to symbolize romance, domestic bliss, good luck, well being, sensitivity, loyalty, harmony, faith and truthfulness. New brides need to be cautious when choosing an emerald for an engagement ring because the gem very often presents natural inclusions that are an integral part of the stone's beauty and character. Special care must be taken to ensure the quality of the emerald lasts a lifetime. People reported that Torres proposed to Swank, 41, over the weekend during the BNP Paribas Tennis Open in Palm Springs, Calif. 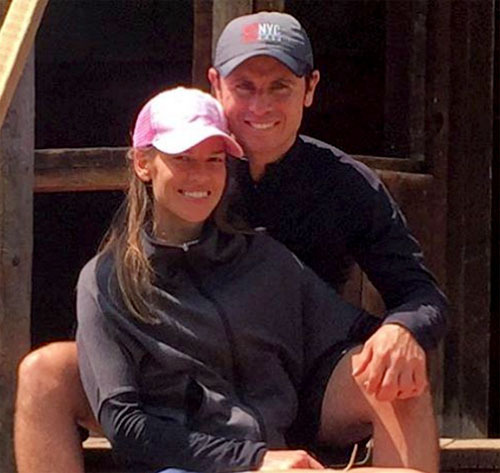 The former tennis pro is now a tennis coach and wealth manager at UBS Financial Services. Swank and Torres started dating last summer and made their relationship public in December of 2015. Swank was previously married to actor/producer Chad Lowe for 10 years. They divorced in 2007. Images: Instagram/HilarySwank; Twitter/HilarySwank; Elle magazine cover, November 2010. 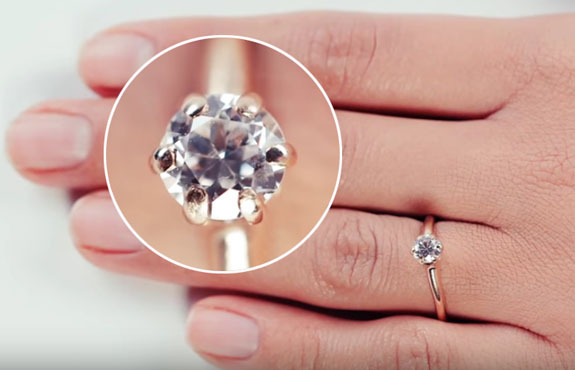 Mode.com just released a style video that shines the spotlight on "100 Years of Engagement Rings." 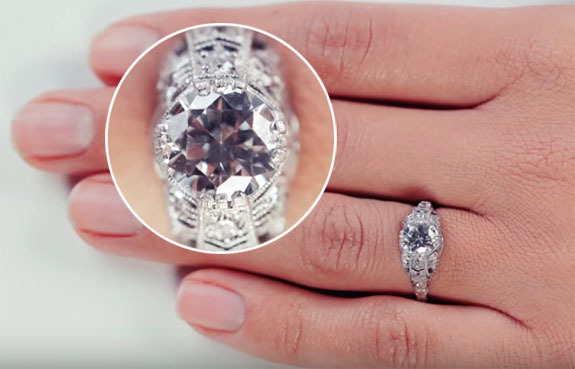 In barely three minutes, we're whisked down memory lane, where we get to see the evolution of the styles that have delighted brides since the early 1900s. 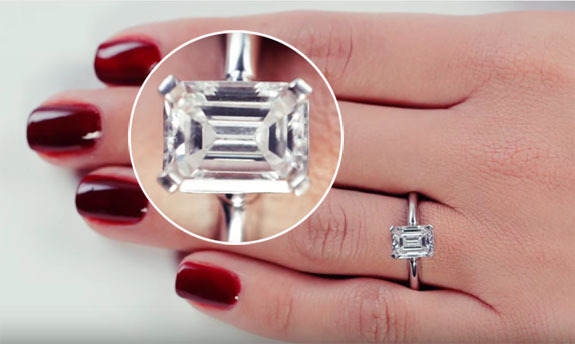 From the simple six-prong solitaires of the 1910s through the elaborate halo mountings and fancy-colored diamonds of today, the video rumbles through 11 popular styles — one decade at a time. 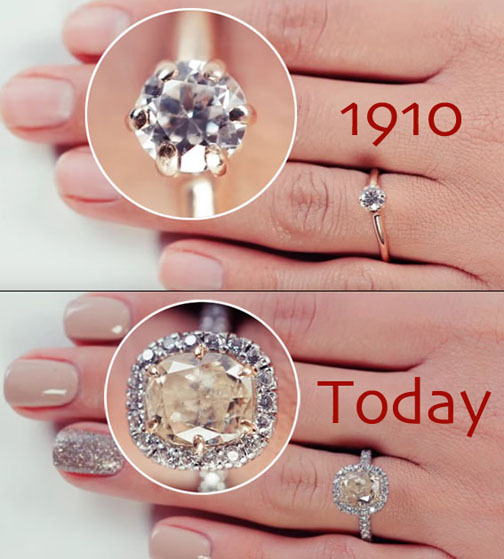 It's fascinating to watch the evolution of the diamond shapes, diamond sizes, metal types and mounting styles. • 1910s. 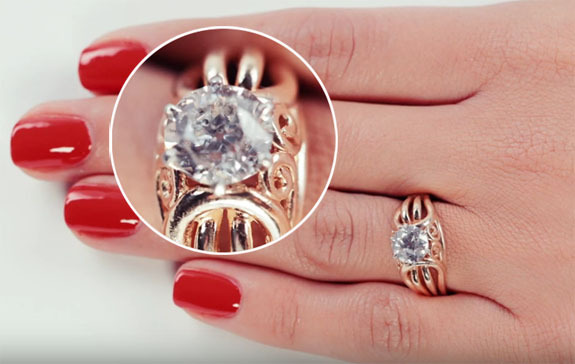 The classic solitaire diamond ring was a favorite at the beginning of the last century. This ring features a round Old European-cut diamond set into a six-prong 14-karat yellow gold mounting. • 1920s. The lacy white-on-white look becomes the benchmark of the Edwardian period. A round Old European-cut diamond is set into a pierced openwork mounting highlighted by round diamonds. Milgrain detail puts the finishing touch on this platinum ring. • 1930s. The streamlined geometry of the Art Deco period becomes reflected in the style of the mountings of this era. Round, early-modern brilliant-cut diamond is set into a platinum mounting highlighted by round diamonds in a pierced openwork motif. • 1940s. White gold became a popular metal during this period, along with the “filigree” mounting that heralded back to the Edwardian period. This ring features a round Old European-cut diamond set in a 18-karat white gold “filigree” mounting. • 1950s. This period saw a shift to the use of yellow and rose gold with an increase in the scale of the jewelry. This 14-karat yellow gold ring displays a round Old European-cut diamond in a wirework mounting. • 1960s. The 1960s saw an increased interest in fancy-shaped diamonds, especially emerald-cut, pear, marquise and heart-shaped diamonds. Platinum became the metal of choice. Here we see an emerald-cut diamond set in platinum. • 1970s. This period was all about the “gold” set with round or fancy-shaped diamonds, often with channel-set mountings and accompanying wedding bands. This ring features a marquise-shaped diamond set in yellow gold with channel-set round brilliant-cut diamonds and complementary wedding band. • 1980s. The solitaire reigns supreme set in the classic manner with baguettes on each side. This ring has a round brilliant-cut diamond flanked by rectangular baguettes mounted in platinum. • 1990s. The “radiant cut” becomes the preferred fancy-shaped diamond of the period, typically set with triangular side stones. This 18-karat white gold ring fits that description exactly. • 2000s. 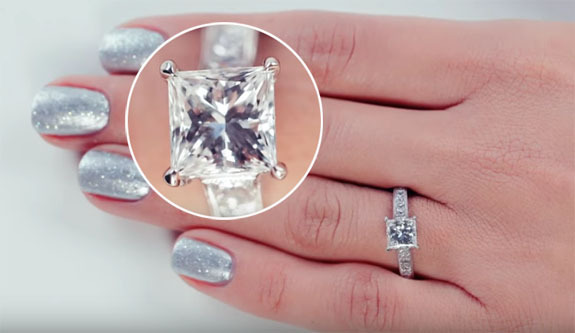 The “princess-cut” is the preferred fancy-shaped diamond of the period, as is illustrated by this engagement ring, which is accented with round brilliant-cut diamonds set into a band of platinum and white gold. • 2010s. 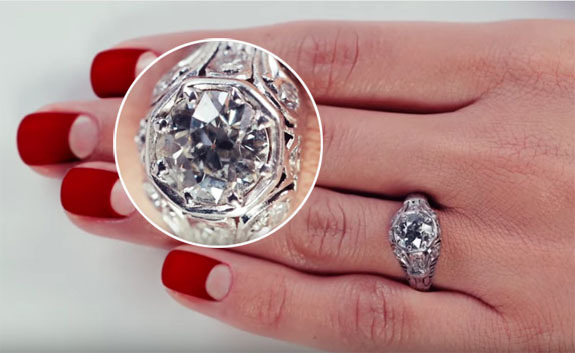 The “halo” mounting is all the rage, along with an increased demand for fancy-colored diamonds. This ring features a fancy yellow rectangular cushion-cut diamond set into a platinum “halo" mounting highlighted by round brilliant-cut diamonds. An Israeli woman made the discovery of a lifetime when she plucked an extraordinarily rare 2,000-year-old Roman gold coin out of the grass while hiking near Galilee. The coin, which depicts the image of Augustus and was minted in 107 AD, is "rare on a global level," according to Danny Syon, a coin expert at the Israel Antiquities Authority. Only one other coin like this exists in the world, and that specimen is on display at the British Museum in London. Laurie Rimon was hiking with her friends in the Galilee region of northern Israel when she noticed an unusual glint coming off the grass. Although it was likely a bottle top or other innocuous item, on closer inspection she was thrilled to learn it was an ancient Roman coin. As is required by Israeli law, Rimon turned the coin in to the Israel Antiquities Authority, which will acknowledge Rimon's exemplary citizenship with a certificate of appreciation. CNN reported that the coin could be worth $5 million at auction, although it's still not clear what immediate plans the Israel Antiquities Authority have for the gold coin. 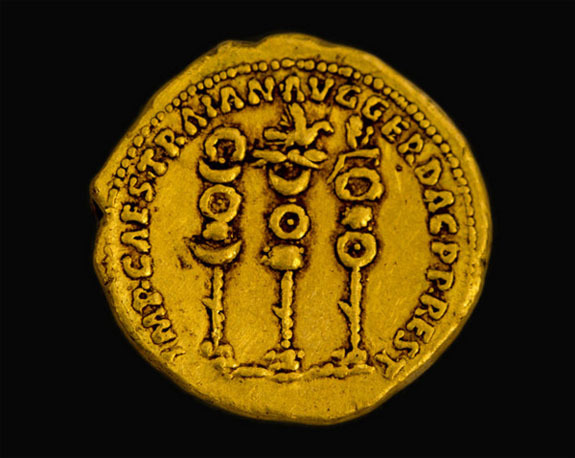 The find was minted during the reign of Emperor Trajan, and although bronze and silver versions of his coins are relatively common, gold ones are extraordinarily rare. This is because the gold coins were nearly impossible to spend. Typically, Roman soldiers during this time were paid 75 silver coins every three months, the equivalent of three gold coins. “Because of their high monetary value, soldiers were unable to purchase goods in the market with gold coins, as the merchants could not provide change for them,” Syon noted. Apparently, solders were paid in gold coins when silver was unavailable. The artwork on the coin is somewhat unusual because it would typically bear the likeness of the emperor in power. In this case, Emperor Trajan decided to honor the Roman emperors who came before him. 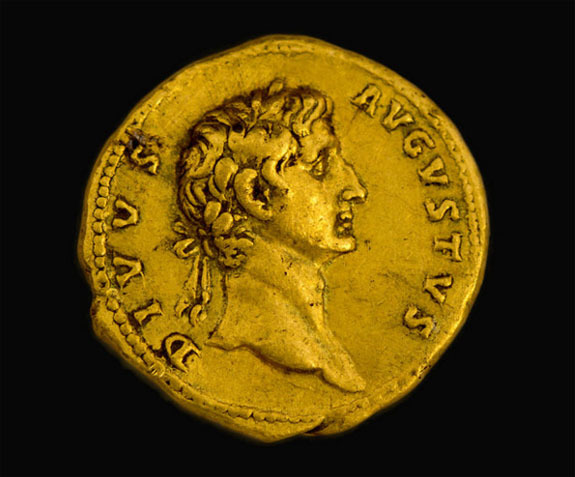 The face of the coin features the image of Augustus, who founded the Roman Empire and ruled from 27 BC to AD 14. It refers to him as "Divus Augustus," or Augustus the Divine. The back of the coin depicts the symbol of Roman legions next to the name of the ruler Trajan. Images provided by the Israel Antiquities Authority. 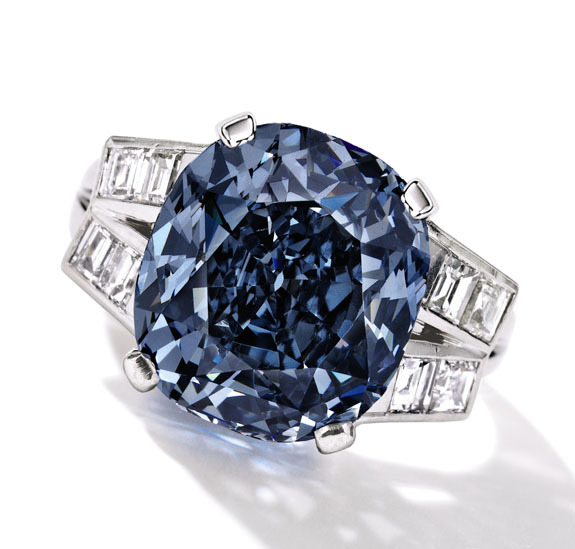 A 9.54-carat blue diamond ring purchased for child star Shirley Temple by her father in 1940 is expected to sell for $25 million to $35 million when it hits the auction block at Sotheby's New York in April. Temple was one month from celebrating her 12th birthday and had just wrapped up her new film, The Blue Bird, when her father, George Francis, surprised the vivacious youngster with a cushion-cut fancy deep blue diamond in an Art Deco-inspired platinum setting. The split shank is adorned with baguette diamonds. 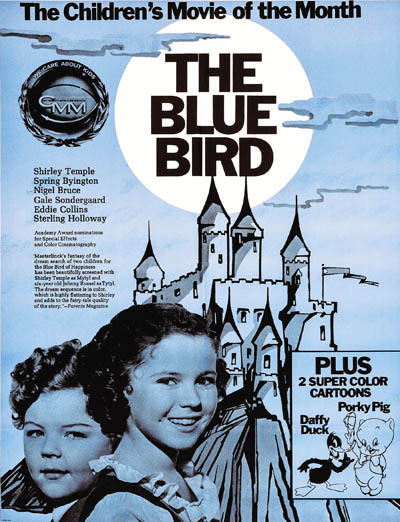 Some believe the movie's "blue" theme inspired the dad to choose a blue diamond. Temple adored the ring and wore it for most of her life. George Francis paid $7,210 for the ring 76 years ago, which is equivalent to about $122,000 today. The appreciation of the ring over that time is mind boggling. 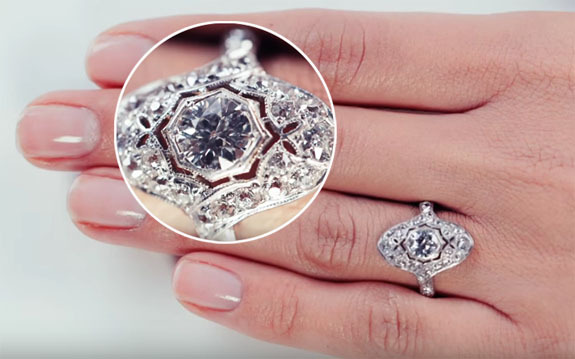 "Colored diamonds were not quite as understood or appreciated or sought after at that time as they are now," noted Frank Everett, Sales Director for the Jewelry Department of Sotheby's New York. "...It was really, really a wise investment on his part, I will say that." 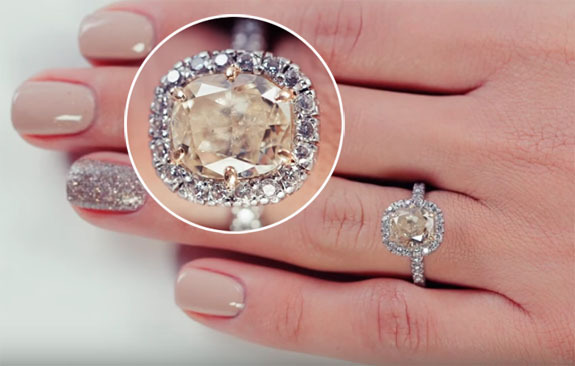 Added Gary Schuler, Co-Chairman of Sotheby’s Jewelry, Americas, “It’s remarkable to have one stone illustrate the dramatic shift in attitude towards colored diamonds over the course of the last century. Today, we recognize these stones as the definition of rarity, and they are eagerly sought-after in our current market for that very reason." 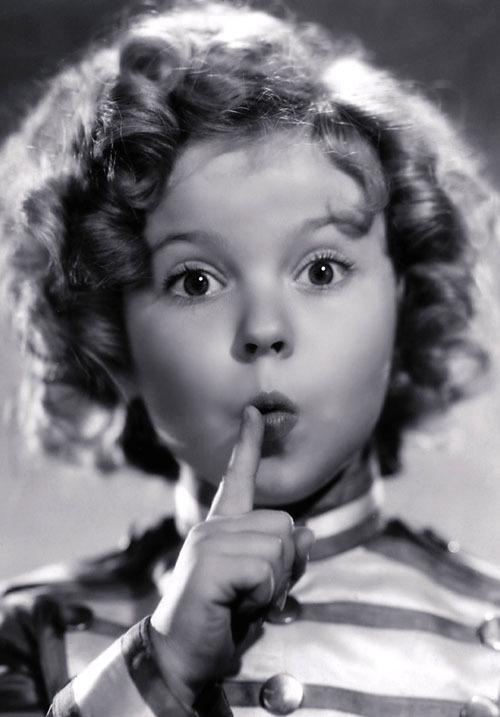 Temple, who famously sang "On the Good Ship Lollipop" in the film Bright Eyes as a six-year-old, was "America's Little Darling" during the 1930s and helped lift America's spirits out of the Great Depression. She was the #1 box office star from 1935 through 1938 and, as an adult, became a diplomat, serving as a United Nations delegate, United States Ambassador to Ghana and later to Czechoslovakia. 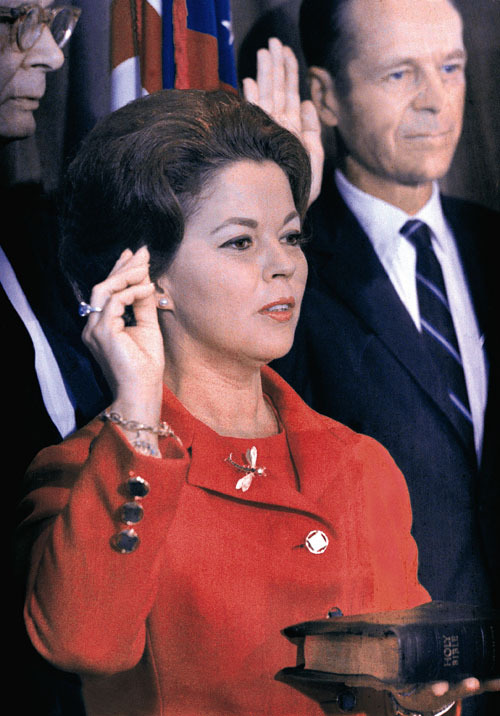 In a 1969 AP photo, Shirley Temple Black is shown wearing her blue diamond ring during a United Nations swearing-in ceremony. She died in February of 2014 at that age of 85. Interestingly, only one week ago, we ran a blog item about another spectacular blue diamond that will be the featured lot at Sotheby's Hong Kong on April 5. 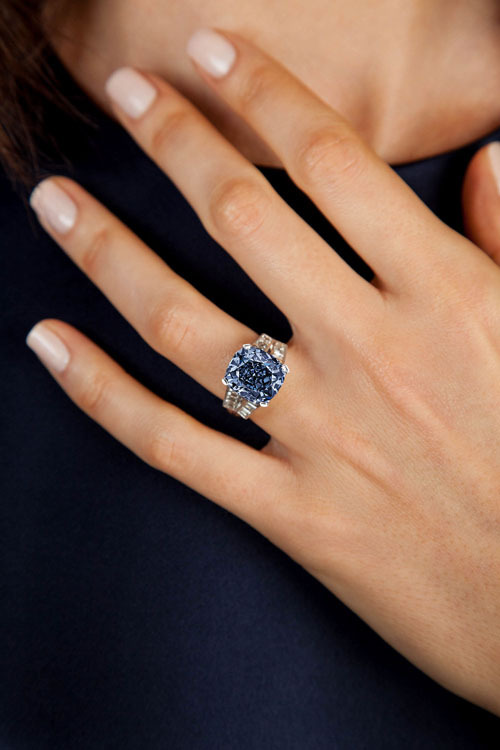 Weighing 10.10 carats, the oval-shaped fancy vivid blue “De Beers Millennium Jewel 4” is expected to fetch between $30 million and $35 million. All this comes on the heels of the blockbuster performance of the “Blue Moon,” which crushed the world auction record for any diamond or any gemstone – as well as a record price-per-carat for any diamond or gemstone – when the 12.03-carat fancy vivid blue diamond sold for $48.5 million ($4.03 million per carat) at Sotheby's Geneva. 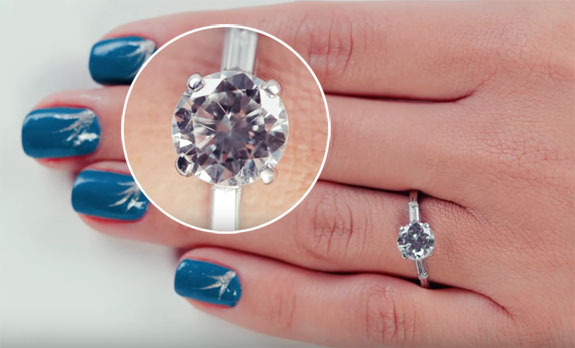 The "Blue Moon" diamond was purchased by Hong Kong billionaire Joseph Lau, who renamed it the "Blue Moon of Josephine" in honor of his young daughter. The "Shirley Temple Blue" carries a clarity grade of VVS2 and was rated "potentially internally flawless." The ring, in its original platinum setting (Temple also commissioned a gold setting for the gem in 1972), will headline Sotheby's Magnificent Jewels sale in New York on April 19. Both settings will be included in the lot. All images courtesy of Sotheby’s. Shirley Temple promo shot and movie poster ©20thCentFox/Courtesy Everett Collection. Model/hand shot via Donald Bowers/Getty Images for Sotheby's. Shirley Temple Black is sworn in as a U.N. delegate, Sept. 16, 1969 (AP Photo).